The results are reported to the practice. The results are made available to the ordering physician for review and sign-off. The results are communicated to the patient. The results are properly filed in the patient's chart. The results are acted upon when necessary. Route all test results to the ordering physician for review. Procedures to ensure the ordering physician receives each and every test result can help lessen the risk of a result "falling through the cracks." 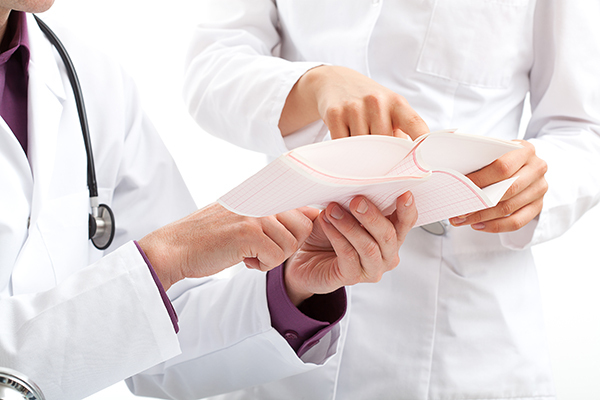 Something as simple as a log book or email notification can help facilitate physician review. Ask the ordering physician to review and sign off on each ordered test result. Physicians order lab tests for specific reasons; physicians are encouraged to sign or initial each test result following review. Notify your patients. Several practices notify patients only when there is an abnormal result. Some practices choose to send a letter for normal results and call the patient for abnormal results. Others call patients with all results. In today's technologydriven world, an email may be appropriate for normal results, or an email directing patients to a portal where results can be reviewed. Patient notification of all test results is advised however your practice chooses to do so. Ensuring all tests ordered by your physicians are handled a consistent manner will help avoid tracking and follow-up errors. Develop a system, which works within the context of your practice, and follow these protocols with every patient - helping to effectively and efficiently stay on top of test results. 1 "PIAA Closed Claims Comparative: A comprehensive analysis of medical professional liability data reported to the PIAA Data Sharing Project," 2015 Edition. 2 Casalino, L.P., et al., "Frequency of Failure to Inform Patients of Clinically Significant Outpatient Test Results." Archives of Internal Medicine 169 (2009): 1123-9. 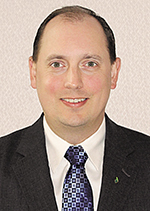 Attorney Jeremy Wale works as a risk resource advisor for ProAssurance. He has authored numerous articles about mitigating medical professional liability risk and also conducts loss prevention seminars to educate physicians about new and emerging risks. www.ProAssurance.com.